Sutton Common was shown on the 1959 Network Map as "programmed" with routes to Pye Green, "Manchester" and "Saddleworth". The site also appears on the 1956 "Backbone" map as a baseband connection point for telephony. Unless any temporary facility was provided - this is not apparent in archive photos - the site did not enter service until the mid-1960s. Early television links between Birmingham and Manchester were provided via cable but this was not suitable for the introduction of 625-line colour services. 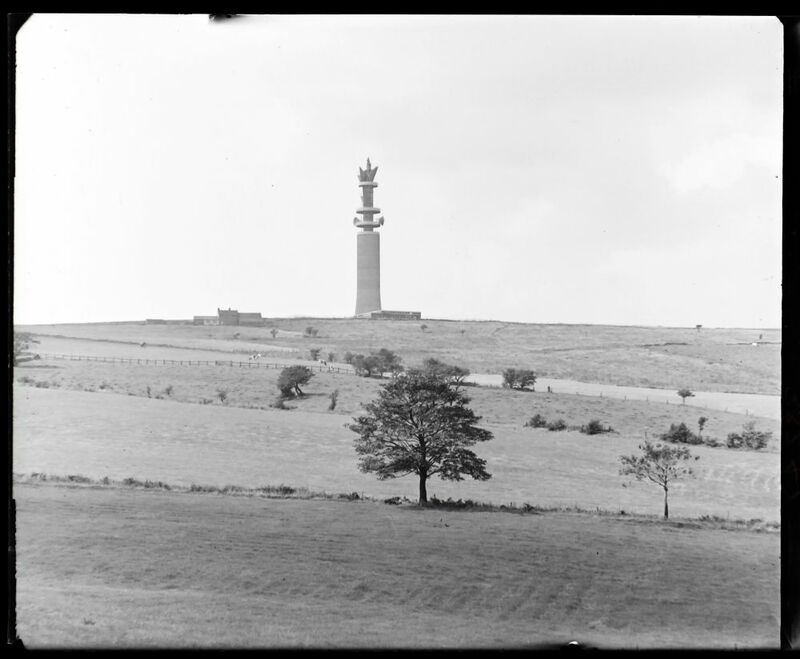 By the time Sutton Common became operational the planned "Backbone" site at Saddleworth had been amalgamated with Windy Hill on the Manchester to Kirk o'Shotts television route. Sutton Common and Windy Hill thus both carried two intertwined routes, one connecting major cities and the other avoiding them. 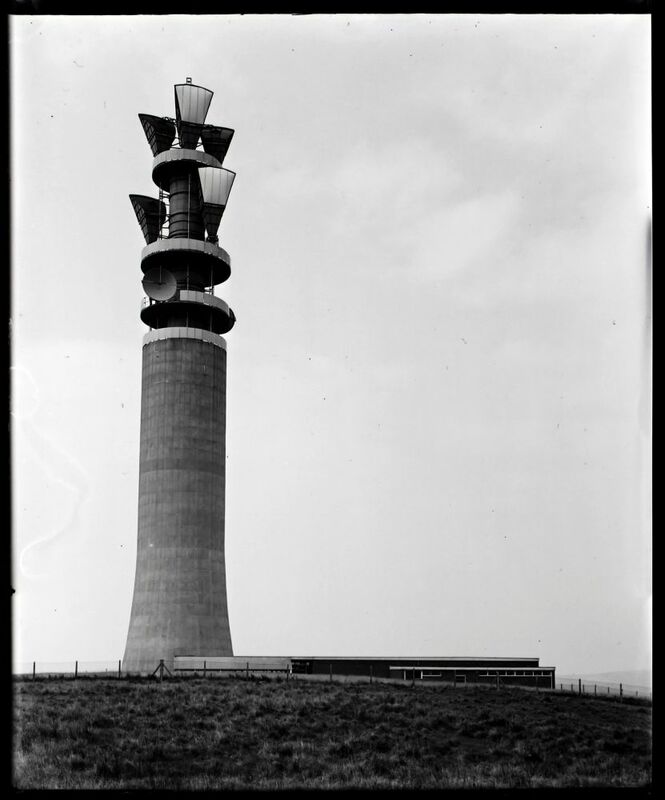 The concrete tower was completed around 1966 and appears to have been fitted with pairs of horns for the main Birmingham to Manchester route and a single horn assumed to face Windy Hill. There were also two dishes apparently facing Pye Green and Windy Hill. Later photos show a reduced number of horns but additional dishes. Subsequently the top section of the tower (with built-in crane) has been removed and a lattice structure added. 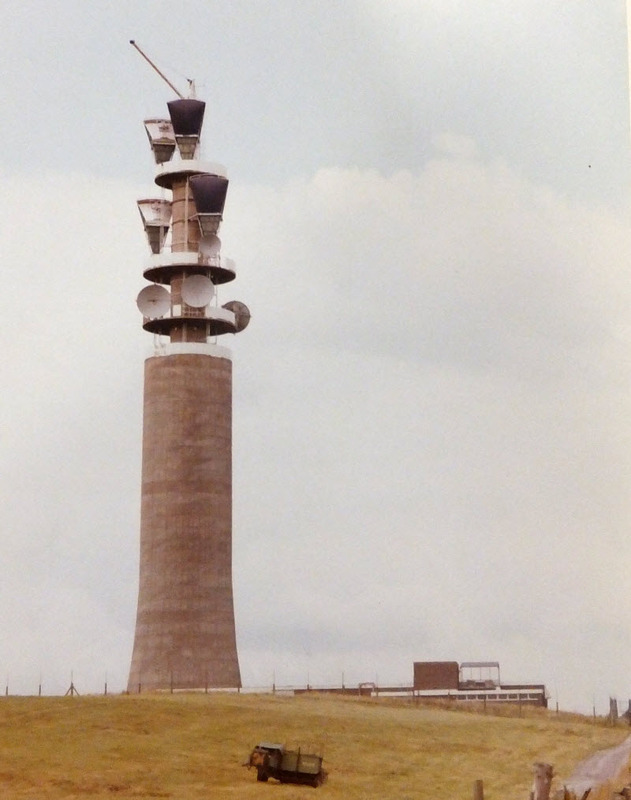 This modification was the subject of a planning application around 1992: "Erection of 17.5 m high steel frame tower to carry various dishes for radio transmission". 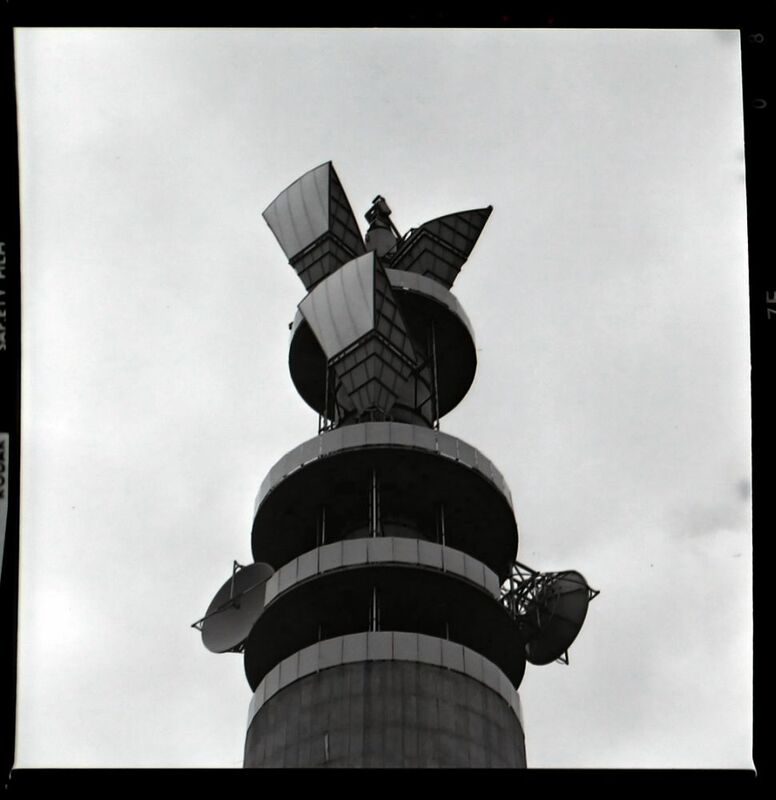 The structure does not appear to have been intended to support "large" dishes and possibly was to provide additional facilities for mobile phone networks - it appears more-or-less empty in recent photos. 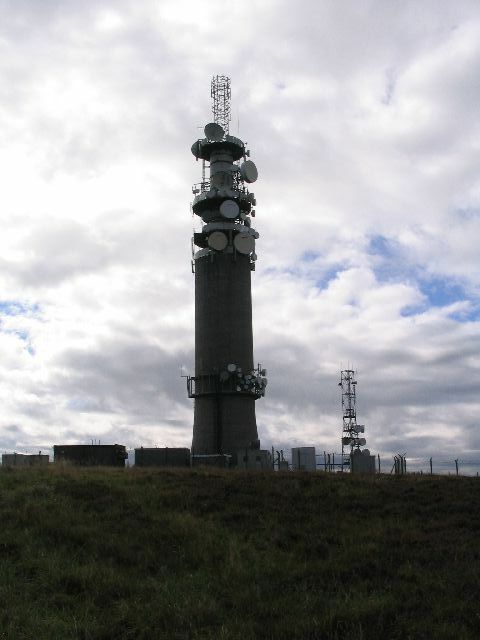 A number of point-to-point links have been added close to the base of the tower - perhaps extra height above ground level is not a major requirement for some current purposes. By 2005 it seems all links were between Pye Green and Heaton Park with the "Backbone" connection to Windy Hill no longer required. 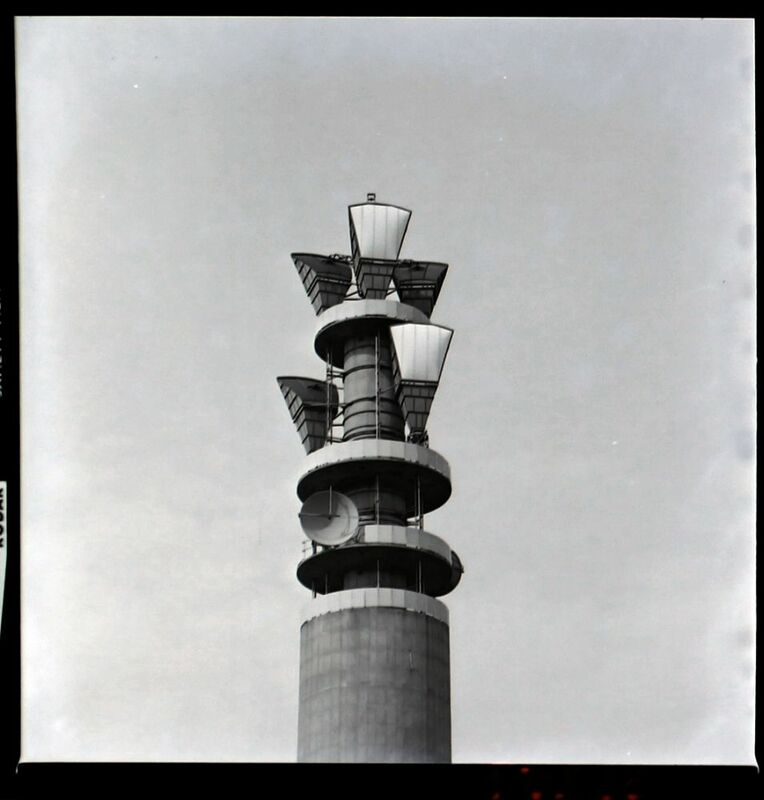 This left Sutton Common in the unique position of having both its adjoining sites as concrete towers of the same style! The large dishes, some of a relatively old design, seem to have remained in place as late as 2012. A distant view, apparently from the east. Most photos of this site are taken facing north (building to the right). Pairs of horns face Pye Green (towards) and Heaton Park (away) with an additional single horn (top right) facing Windy Hill so "Backbone" traffic could bypass Manchester. The visible dishes face Pye Green and Windy Hill. A different perspective, showing the built-in crane at the top and the waveguides running vertically from each horn. The horn facing Windy Hill has been removed and a couple of new dishes added. The crane is extended - and so is the building, it seems a second storey has been added at the front!